Former President Olusegun Obasanjo on Tuesday harped on his argument that Nigeria requires a President with a sound knowledge of the economy to make a headway. This, he said, was what a former German Chancellor, the late Helmut Schmidt, who was one of his international friends, told him during a discussion about African countries. He argued that there was no way that a President with a poor knowledge of the economy could meet the needs of the citizens, adding that even Jesus Christ understood economy. 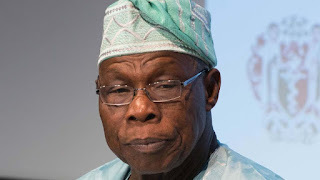 Obasanjo spoke in Lagos at this year’s edition of Foursquare Gospel Church annual public lecture, which held at the church’s national headquarters in Yaba. Commenting on the lecture, the former President said even if Kukah was right in his description of politics as a game, politics must be the most serious game created by man.